Here are some secular wedding readings that may be of interest as you plan an unconventional or non-religious wedding. As we customize your ceremony, choose any readings that speak to you and we’ll work them in. Trust each other, completely, entirely, trust like an animal, trust even more than that, raze every barricade, every obstacle to trust. Be relentless, leave no stone unturned, trust each other. Know with absolute deathless certainty that your lover wishes nothing but that all is well with you. Do you know that? Do you know that your love is more trustworthy than even you yourself are? If not, work harder, know it, this is important, not even your mother can be trusted half as much. That’s one thing. Be understanding. Be more than that. Merge entirely your being with your lover’s life. Have the same dreams at night. And yet, keep a healthy distance always; no one likes feeling crowded. Your lover complains, or is sad. Listen attentively to each ululation, to each keening note of your lover’s lament. What matter if you’ve heard it all before, only last week, only last night even, and you’re bored? Listen as though your lover had sat down and delivered a spontaneous exegesis on Grief worthy of Montaigne of Browne or Emerson. Find different kinds of listening expressions, too, be inventive, and be careful that the look you imagine expressive of rapt attentiveness isn’t becoming a glazed fixed stare. Without silence there would be no music. not idleness and impassive quiet. but also compassion, deep feeling. in a valley, or among green hills. casting its vast shadow. Cares vanish in it. Marriage is a vital social institution. The exclusive commitment of two individuals to each other nurtures love and mutual support; it brings stability to our society. For those who choose to marry, and for their children, marriage provides an abundance of legal, financial, and social benefits. In return it imposes weighty legal, financial, and social obligations….Without question, civil marriage enhances the “welfare of the community.” It is a “social institution of the highest importance.” … Marriage also bestows enormous private and social advantages on those who choose to marry. Civil marriage is at once a deeply personal commitment to another human being and a highly public celebration of the ideals of mutuality, companionship, intimacy, fidelity, and family…. Because it fulfills yearnings for security, safe haven, and connection that express our common humanity, civil marriage is an esteemed institution, and the decision whether and whom to marry is among life’s momentous acts of self-definition. It is undoubtedly for these concrete reasons, as well as for its intimately personal significance, that civil marriage has long been termed a civil right. You’re TOGETHER. And you know what you know. Nothing is easier than saying words, and nothing harder than living them day by day. What you promise today must be renewed and re-decided tomorrow. At the end of this ceremony, legally you will be husband and wife, but you must still decide, each day that stretches out before you, that you want to be married. Real love is something beyond the warmth and glow, the excitement and romance of being deeply in love. It is caring as much about the welfare and happiness of your marriage partner as about your own. But real love is not total absorption in each other; it is looking outward in the same directions — together. Love makes burdens lighter; because you divide them. It make joys more intense because you share them. Love makes you stronger, so you can reach out and become involved with life in ways you dared not risk alone. Your love is as the sea, constant and ever-changing… Your love is as the wind, rapturous and all encompassing. Your love is as the earth, solid and firm…Your love is as a flame, illuminating your lives and warming your hearts. Yet your love extends beyond the sea, wind, earth and flame; it is greater than who you are and meaningless without you; it is more powerful than your past yet the foundation for your future. It has brought you here today to become one in the eyes of your family and friends, for all the days to come. Your love is the essence of your lives. Gracias por estar aquí para celebrar el matrimonio de NAME y NAME. This will be the mightiest day in the history of our lives, and the most generous toward us both — for it makes of two fractional lives a whole; it gives to two purposeless lives a work, and doubles the strength of each whereby to perform it; it gives to two questioning natures a reason for living, and something to live for; it will give a new gladness to the sunshine, a new fragrance to the flowers, a new beauty to the earth, a new mystery to life; and it will give a new revelation to love, a new depth to sorrow, a new impulse to worship. In this day the scales will fall from our eyes and we shall look upon a new world. Take time for each other and act always from a caring position. Allow each other time alone for renewal and creativity. Be as honest as possible about feelings as well as actions. Share household and routine tasks with role reversal as a reality. Listen to each other with intent beyond the words. Allow other relationships and commitments in your lives. And make room in your covenant for the children of your love and when the time comes to let them go, do so with joy and caring; then come your primary relationship with fresh commitments to new beginnings. There is an art to marriage as there is to any creative activity we human beings engage in. This art asks that we pay attention to the little things as well as the big ones that are part of the closeness of marriage. Never grow too old to hold hands. At least once each day, remember to say, “I love you.” In so much as it is possible, develop the capacity to forgive and forget and heal quarrels as they happen so that you do not go to bed angry. Your courtship should not end with the honeymoon; so pay attention that you do not come to take each other for granted, and remember to speak words of appreciation and demonstrate your gratitude in thoughtful ways. It is important to have a mutual sense of values and common objectives so that you stand together as you work through the world; and do things for each other, not as a duty or sacrifice, but in the spirit of joy. Do not expect perfection of each other. But do give each other room to grow and cultivate flexibility, patience, understanding, and sense of humor in your relationship. Your marriage is not just for two people. Use it to form a circle of love that gathers in your families and the children who may be part of your lives. Remember that standing together never means dissolving your individual selves into each other, but indeed means the strengthening of the individuality of each. A good marriage evolves when two distinct individuals face life’s joy and its sorrow in harmony, not in unison. This list is only a small part of what is required of two people who would truly accept that making a marriage over the years is an artistic endeavor worthy of our best efforts. It is not just another relationship in our lives; it is the one that gives us courage and the support to reach out to other people in love and wholeness. It is often said that it is love that makes the world go round. However, without doubt, it is friendship which keeps our spinning existence on an even keel. True friendship provides so many of the essentials for a happy life-it is the foundation on which to build an enduring relationship, it is the mortar which bonds us together in harmony, and it is the calm, warm protection we sometimes need when the world outside seems cold and chaotic. True friendship holds a mirror to our foibles and failings, without destroying our sense of worthiness. True friendship nurtures our hopes, supports us in our disappointments, and encourages us to grow to our best potential. NAME and NAME came together as friends. Today, they pledge to each other not only their love, but also the strength, warmth and, most importantly, the fun of true friendship. and may life grant you also patience, tolerance and understanding. Look at one another and remember this moment in time. Before this moment you have been many things to one another- acquaintance, friend, companion, lover, dancing partner, and even teacher, for you have learned much from one another in these last few years. Now you shall say a few words that take you across a threshold of life, and things will never quite be the same between you. For after these vows, you shall say to the world, this- is my husband, this- is my wife. “Our ancestors groped in darkness to make sense of their surroundings. Powerless before nature, they invented rituals and myths, some desperate and cruel, others imaginative and benign. As long as there have been humans, we have searched for our place in the cosmos. Where are we? Who are we? We find that we live on an insignificant planet of a humdrum star lost in a galaxy tucked away in some forgotten corner of a universe in which there are far more galaxies than people. We make our world significant by the courage of our questions, and by the depth of our answers. “All of the rocks we stand on, the iron in our blood, the calcium in our teeth, the carbon in our genes were produced billions of years ago in the interior of a red giant star. We are made of star-stuff. I guess maybe it is like rolling off of a log — my heart is filled again and I’m choked with emotions — and love is so good and powerful — it’s worth preserving — I know nothing can separate us — we’ve stood the tests of time and our love is as glorious now as the day it was born — dearest riches have never made people great but love does it every day — we’re not little people — we’re giants… I know we both have a future ahead of us — with a world of happiness — now & forever. A Natural History Of Love by prolific science historian Diane Ackerman, Carl Sagan’s favorite cosmic poet, endures as one of the most dimensional explorations of humanity’s highest emotion. Love is the great intangible. Frantic and serene, vigilant and calm, wrung-out and fortified, explosive and sedate — love commands a vast army of moods. What a small word we use for an idea so immense and powerful it has altered the flow of history, calmed monsters, kindled works of art, cheered the forlorn, turned tough guys to mush, consoled the enslaved, driven strong women mad, glorified the humble, fueled national scandals, bankrupted robber barons, and made mincemeat of kings. How can love’s spaciousness be conveyed in the narrow confines of one syllable? If we search for the source of the word, we find a history vague and confusing, stretching back to the Sanskrit lubhyati (“he desires”). I’m sure the etymology rambles back much farther than that, to a one-syllable word heavy as a heartbeat. Love is an ancient delirium, a desire older than civilization, with taproots stretching deep into dark and mysterious days. Common as childbirth, love seems rare nonetheless, always catches one by surprise, and cannot be taught. Each child rediscovers it, each couple redefines it, each parent reinvents it. We have the great fortune to live on a planet abounding with humans, plants, and animals; and I often marvel at the strange tasks evolution sets them. Of all the errands life seems to be running, of all the mysteries that enchant us, love is my favorite. If any should ask why we are here, together, now, let it be said that we were brought here by a force stronger than suns, which is Will. Ours was not a random course, though chance strengthened it. We were not always sure of the way, and some of our steps have been slow, but our next step spans worlds. Time will not stop for the strongest: and though we must go where it takes us, without companions chosen by the will and the heart, the journey is empty, and there is nothing to measure the victories by. “Before we met, you and I were halves unjoined except in the wide rivers of our minds. We were each other’s distant shore, the opposite wings of a bird, the other half of a seashell. We did not know the other then, did not know our determination to keep alive the cry of one riverbank to the other. We were apart, Yet connected in our ignorance of each other, like two apples sharing a common tree. Remember? I knew you existed long before you understood my desire to join my freedom to yours. Our paths collided long enough for our indecision to be swallowed up by the greater need of love. When you came to me, the sun surged towards the earth and moon escaped from darkness to bless the union of two spirits, so alike that the creator had designed them for life’s endless circle. Now you have lit a fire and that fire should not go out. The two of you now have a fire that represents love, understanding and a philosophy of life. It will give you heat, food, warmth and happiness. The new fire represents a new beginning – a new life and a new family. The fire should keep burning; you should stay together. You have lit the fire for life, until old age separates you. Be swift like the wind in loving each other. Be brave like the sea in loving each other. Be gentle like the breeze in loving each other. Be patient like the sun who waits and watches the four changes of the earth in loving each other. Be wise like the roaring of the thunder clouds and lightning in loving each other. Be shining like the morning dawn in loving each other. Be proud like the tree who stands without bending in loving each other. 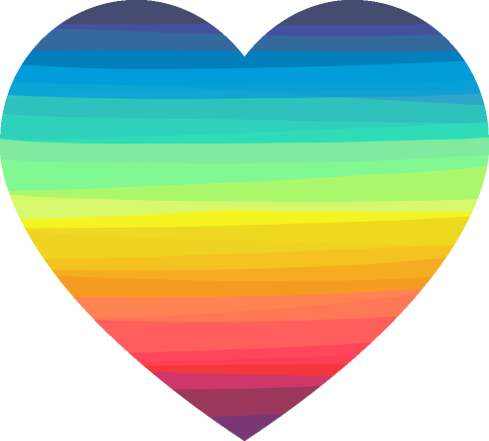 Be brilliant like the rainbow colors in loving each other. Now, forever, forever, there will be no more loneliness because your worlds are joined together with the world. Forever, forever. To say the words “love and compassion” is easy. But to accept love and compassion are built upon patience and perseverance is not easy. Your marriage will be firm and lasting if you remember this.